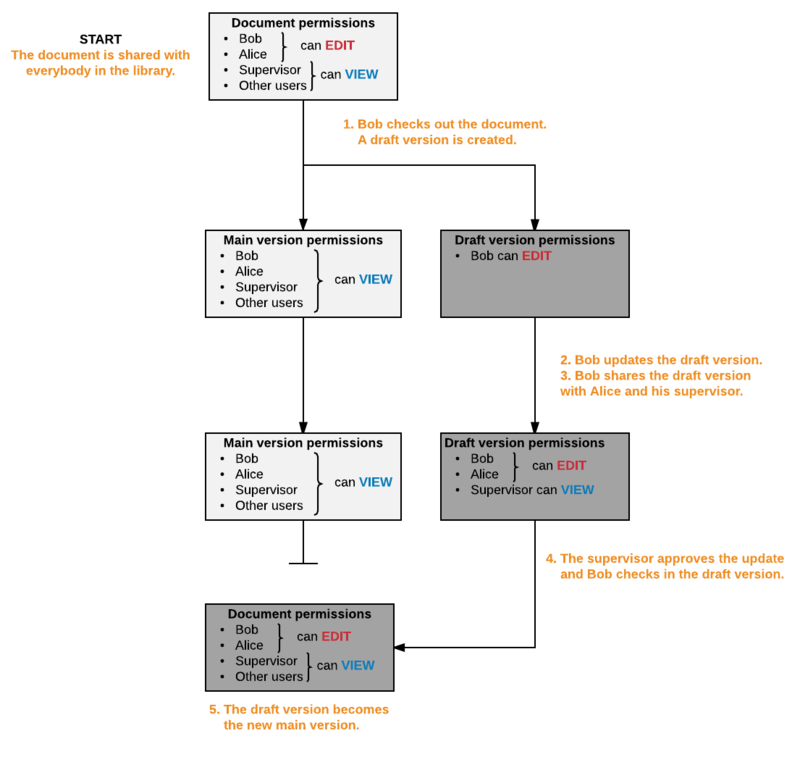 In the example above, let's say Bob needs to give Fred editing permission for collaboration on the draft (during step 2). 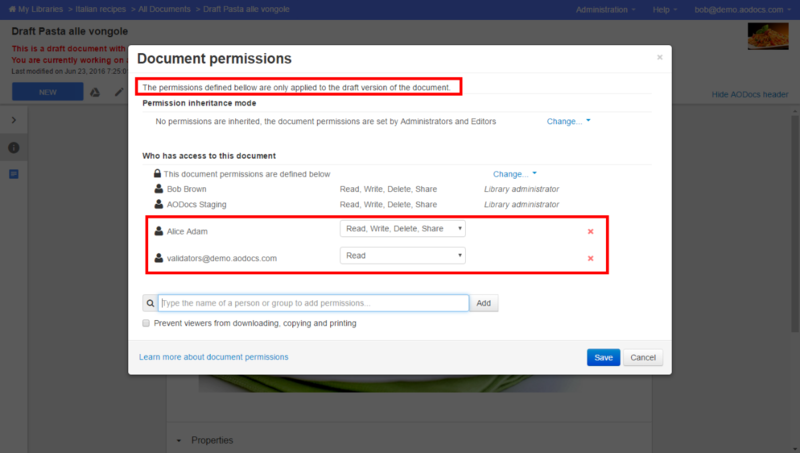 Does Fred continue to have editing permission on the new version, once the document is checked in (step 5)? Apologies for the late reply. You'd have to give Fred edit access to the document before check out to be able to give him edit access to the draft version.